Proposals have been entered to transform part of a farm into a glamping site. The owners of Pant Glas Farm in Lloc, near Holywell have applied to Flintshire Council to put a total of 16 pine camping pods on their land. Philip, Dorothy and Eiry Read claim it will help to make their business financially viable and provide a boost to the tourism industry. Each pod would be equipped with living and bedroom facilities, including Wi-Fi, electricity, running water, a sink, shower and bathroom. In a statement, the Reads said: “Pant Glas farm has been a successful working farm for 17 years under the present ownership and for many years before that. “However, due to modern farming practices the farm is no longer financially viable from agriculture alone. “The following statement is a proposal to site 16 glamping pods on one field to supplement the income and profitability of the farm. 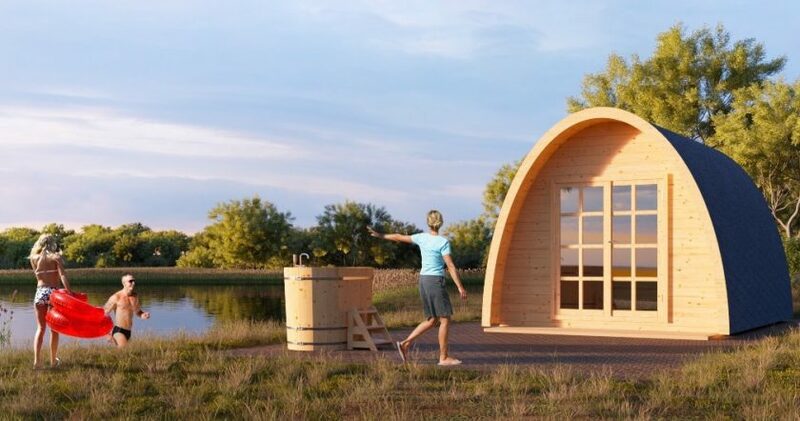 “The glamping pods will be standalone accommodation units for holidaymakers seeking a luxury camping experience in beautiful surroundings of Flintshire. The application states that the design of the pods is in keeping with the natural beauty in the area. There are plans to use hedges to screen them to prevent any visual impact on the surrounding countryside. Each pod would come with its own individual parking space. Comments on the proposals are currently being invited by Flintshire Council. The authority is aiming to make a decision on the application by January 9, 2019.